It’s the holiday season, and you know what that means! New Year’s Eve is right around the corner!!! It is the biggest party of the year. Ending one year and starting off fresh with the new, so how are you celebrating New Year’s Eve 2016? A lot of people go into the city for New Year’s Eve, but that can be such a hassle. There are the crowds, literally people EVERYWHERE, and the bars are super expensive. So why go to the city when the best party of the night is happening right at the Jersey Shore? With Jacques Exclusive Caterer’s New Year’s Eve Gala there is no reason to be trudging into the city for a night out on the town. We have everything you could possibly need: amazing food, live entertainment, a champagne toast at midnight, a photo booth, and of course an open bar! What more could you ask for? The doors open at 8 PM and the party won’t stop until 1 AM! Giving you plenty of time to dance, drink, eat and be merry! The evening begins with some voodoo cheese and bong bong chips and tomato bruschetta with crostini appetizers before the dinner buffet. Dinner includes a salad station, carving station, pasta station and classic dishes like Tuscany Chicken and Pinwheel Flank Steak. With so many options there is sure to be something for everyone! There will even be a dessert buffet, with everything from miniature cupcakes to fruit kabobs! So go ahead and indulge your sweet tooth one last time in 2016! 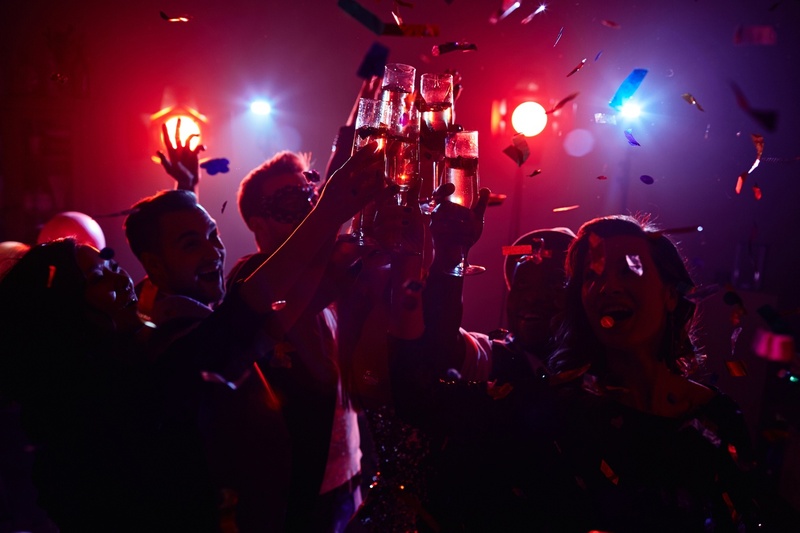 Located at the Jacques Reception Center in Middletown, the party is conveniently located and still gives you a reason to dress up and go out on New Year’s Eve. Also, there are a limited number of tickets so you don’t have to worry about the party being overcrowded or there not being enough food. That also means that if you’re interested in the hottest party at the Jersey Shore, then to get your tickets now! For tickets and more information click here.